Location! Location! 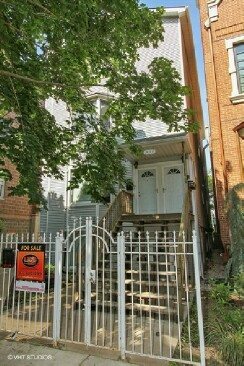 In the heart of the Southport Corridor and just three steps down, this charming garden lives like a main level condo. 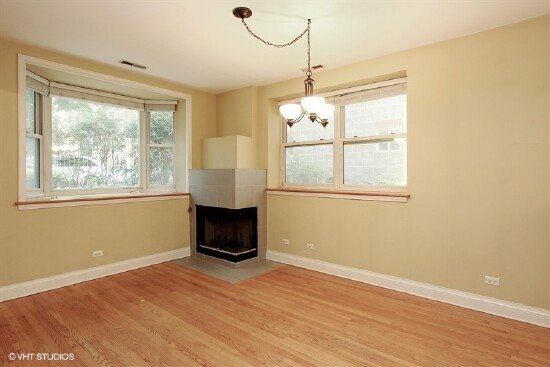 With 9 foot ceilings, large windows on all three sides, this move in ready unit is sun filled and bright. 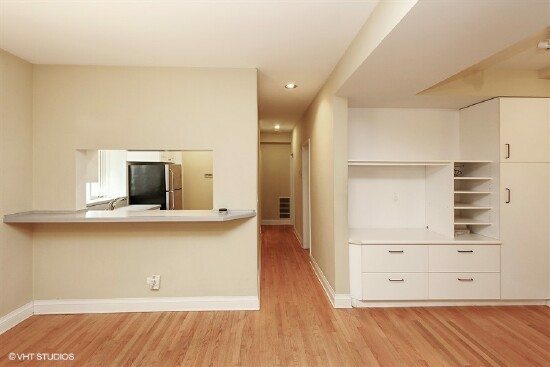 Hardwood floors, white cabinetry highlighted by stainless appliances grace the kitchen. 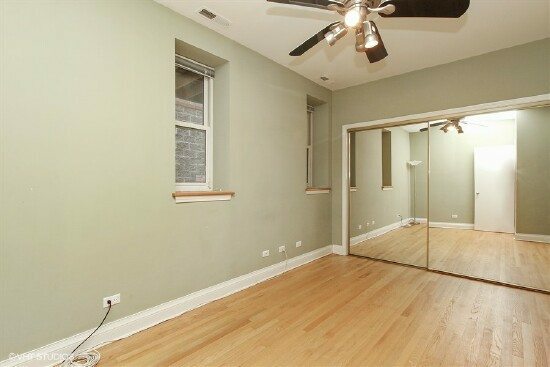 Each generous bedroom boasts large wall closets. The unit also features a built in flood control system. The in-unit washer and dryer means no trips to the Laundromat for you. 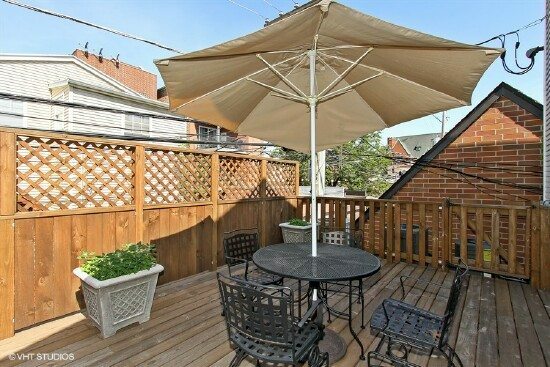 The intimate condo building offers you a common roof deck and a large storage closet. Enjoy the lovely courtyard as you walk to the garage and the garage parking space is included in the price! Walk to everything! Blaine Elementary School and very close to DePaul University. The price and the location cannot be beat!! The living/dining room combo features hardwood floors, windows on both sides, a breakfast bar that looks into the kitchen and is highlighted by a fireplace where you can spend cozy evenings. 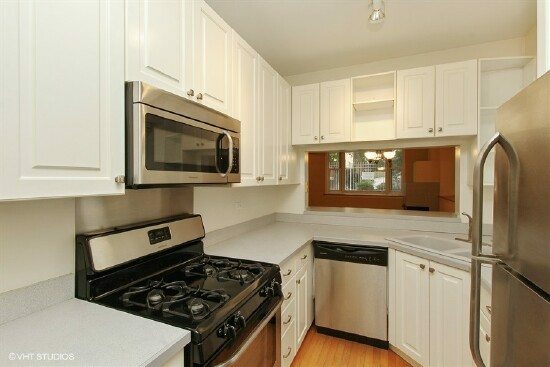 Newer white cabinets, grey countertops and stainless steel appliances make it a pleasure to cook your meals in this super functional kitchen. 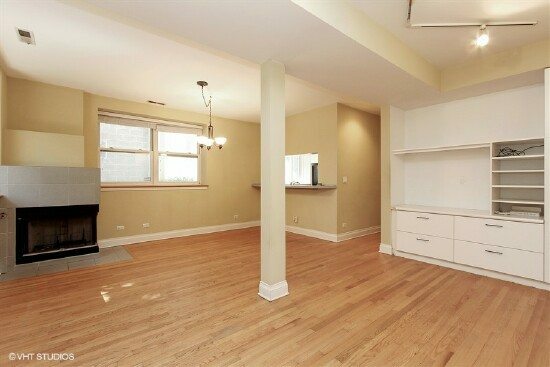 Hardwood floors, neutral paint and wall to wall closets grace this master bedroom. 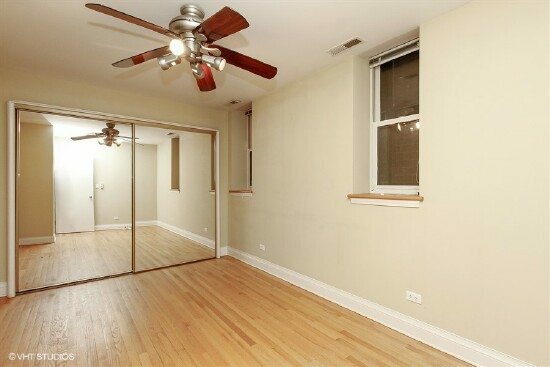 Hardwood floors continue into this bedroom with wall to wall closets that are highlighted by the mirrored doors. 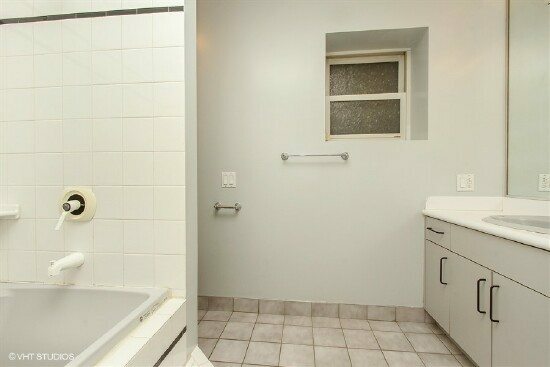 The bathroom includes a deep Jacuzzi tub with a separate walk in shower. The neutral white tile makes this room easy to decorate.